Known as a true renaissance man of the modern music scene, Justin Meldal-Johnsen’s bass credits include Beck, Nine Inch Nails and more. His production credits include Jimmy Eat World, Paramore and M83, among others. JMJ is a shining example of today's breed of multi-genre musician/producers, ever pushing boundaries and inspiring others. 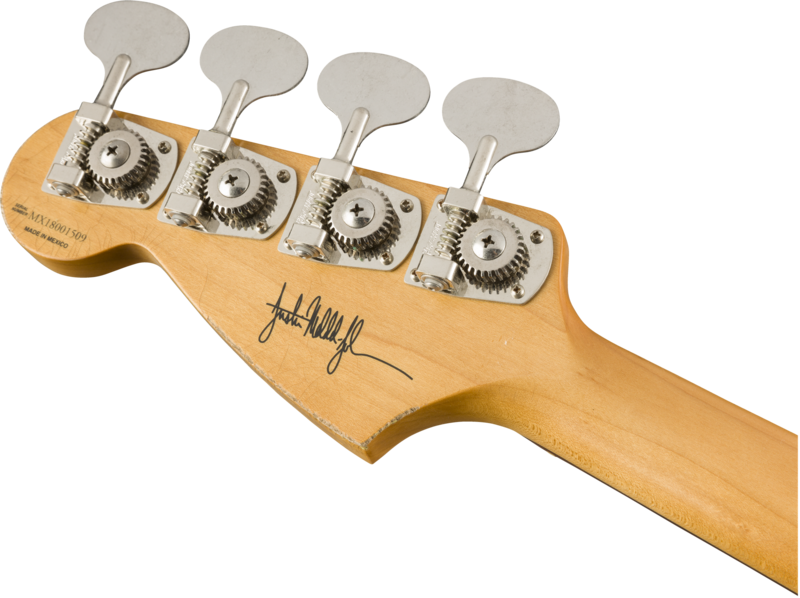 From studio to stage, Justin’s treasured ’66 Mustang Bass is his tool of choice. 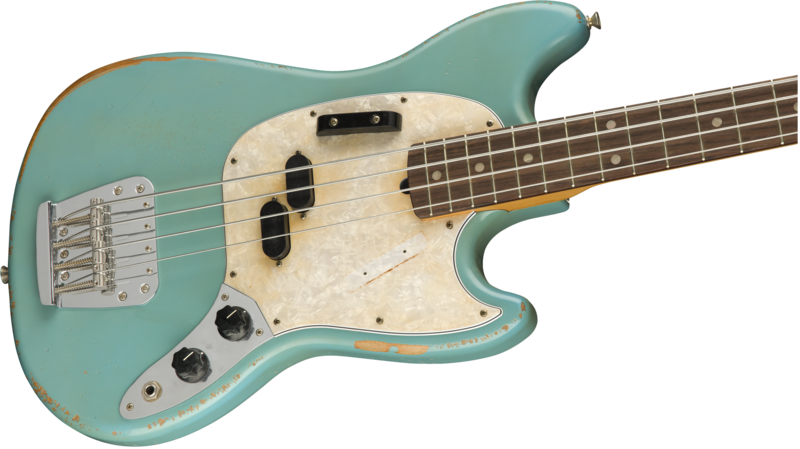 We teamed up with him to create a signature 4-string modeled after his vintage Daphne Blue instrument—the Justin Meldal-Johnsen Road Worn Mustang Bass. 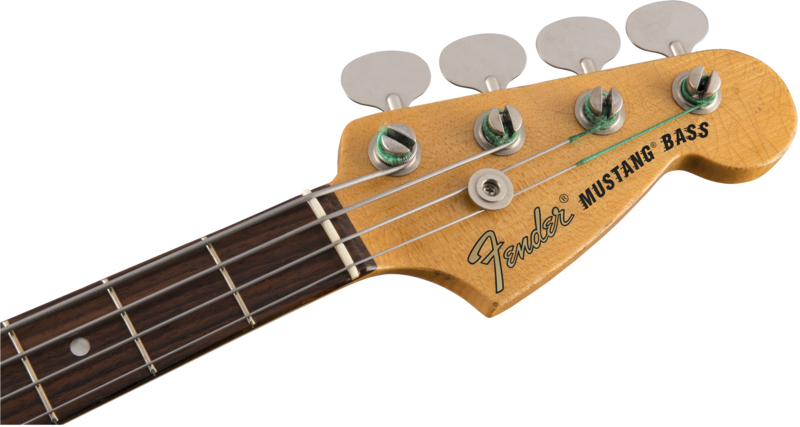 Powered by a custom-spec split-coil pickup, the JMJ Road Worn Mustang bass is perfect for laying down punchy basslines with plenty of Fender mojo. The 30" scale gives it a tight, focused tone while the modern 9.5”-radius fingerboard with rolled edges offers a familiar feel that will make any bassist feel right at home.Designed for comfort and speed, this bass also has stage-ready style. From the nicks and picks scratches on the body to the worn-in feel of the neck to the aged hardware, this bass shows the marks of an instrument that has earned its stripes out on the road. 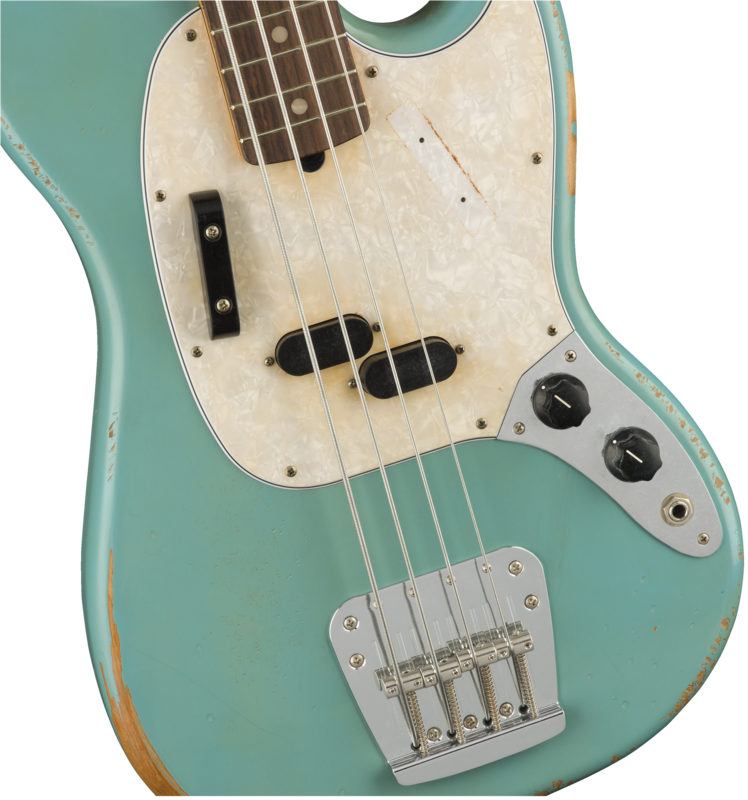 Check out the unique tone and amazing feel of the Justin Meldal-Johnsen Road Worn Mustang Bass.